Over the past 20 years, Shunyata Research has invested enormous resources into the scientific research, measurement, and materials development of its many power cable models. Shunyata is the only company to have developed its own DTCD® Analyzer that precisely measures instantaneous current through contacts, wires, switches and breakers. We are also one of the only companies that manufacturers all of its own power wiring, terminals and connectors. Shunyata Research treats the design of its power cables as the most important cable in any entertainment, recording or medical system. transformer in the component’s power supply. Shunyata Research has developed advanced conductor geometries, electrical contacts, power connectors and junction-to-junction bonding techniques with measurements provided by our exclusive DTCD® Analyzer. Shunyata Research’s NR Series power cables have built-in noise filters that measurably improves CCI™ (Component-to-Component Interference) by reducing conducted power line noise and radiated RFI/EMI interference. Some of the key features of our power cables include: pure OFE (Oxygen-Free Electrolytic) copper; VTX™ ‘hollow tube’ wires; CopperCONN® connectors made with pure copper contacts; and built-in NR noise reduction filters. Last but not least, Delta, Alpha and Sigma series power cables are conditioned with our proprietary Kinetic Phase Inversion Processor (KPIP™) that improves performance and eliminates burn-in issues. The Delta power cables feature ultra-pure OFE copper, woven into Shunyata’s own VTX™ hollow-core conductors, which are then connected to Shunyata’s exclusive CopperCONN® connectors. CopperCONN® connectors contain pure copper contacts — not the common plated brass and bronze contacts used in the vast majority of power cables at this price-point. The Delta NR is the first in Shunyata Research’s NR Series power cables to incorporate ‘on-board CCI™ filters’ that provide power conditioning to each individual component. The Alpha NR and Alpha EF power cables deliver true reference level performance with massive 8-gauge VTX™ conductors and the industry’s finest CopperCONN® power connectors. The Alpha NR model adds measurable noise-reduction through the use of Shunyata’s own CCI™ Filter-system, while the ultra-flexible Alpha EF provides world-class performance to components with obstructed power entries. 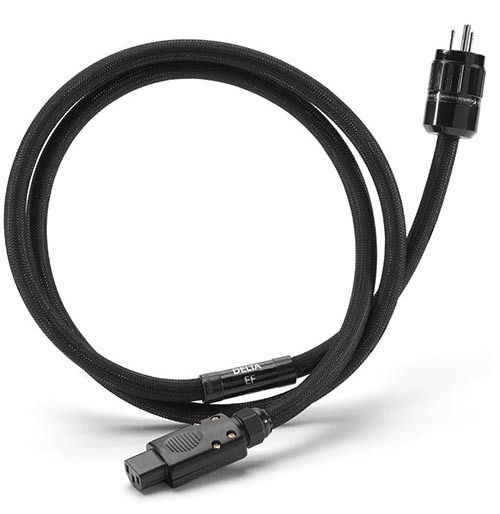 Alpha EF and Alpha NR power cables possess truly unique technologies, metal-treatments and parts customization that simply does not exist in competitive products – and they accomplish this at surprisingly affordable prices. 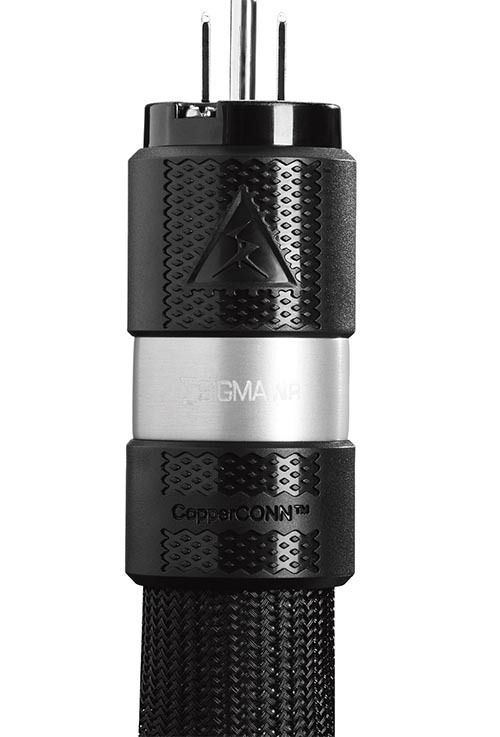 The Sigma NR power cable builds upon the worldwide success of its predecessors with massive 6-gauge (VTX™) hollow-core conductors and Shunyata’s own CopperCONN®, solid copper connectors. The Sigma NR’s meticulous design and vanishingly low-resistance to peak current (DTCD®) delivers unparalleled performance when used with even the most current-hungry amplifiers. It’’s built-in wide-bandwidth noise filtration system reduces power-line and component generated power supply noise, making it an ideal choice for source components, power amplifiers and digital systems. Shunyata’s Sigma NR power cable’s advanced materials and standard-setting technology raise the performance bar for others to follow. Download the Power Cables - NR Series & EF Series brochure.